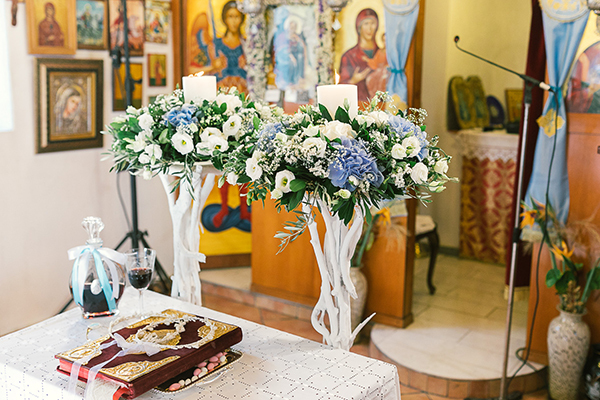 The wedding in Evvoia we are sharing today is so beautiful! 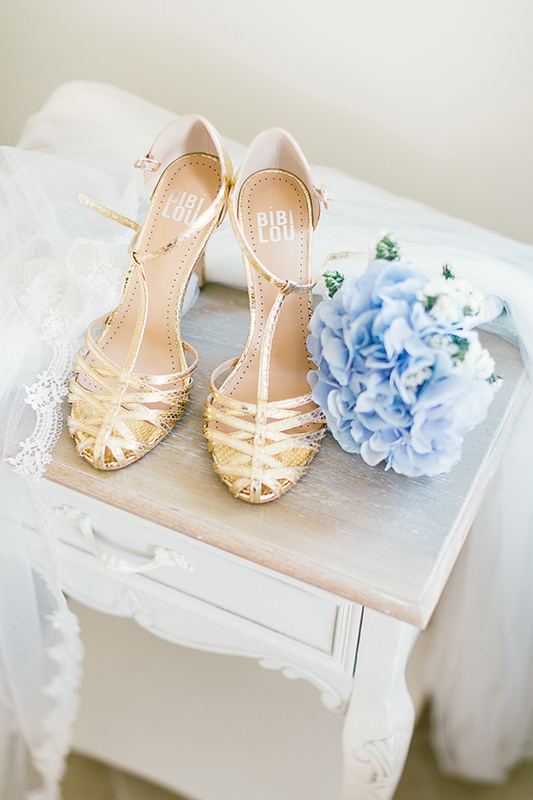 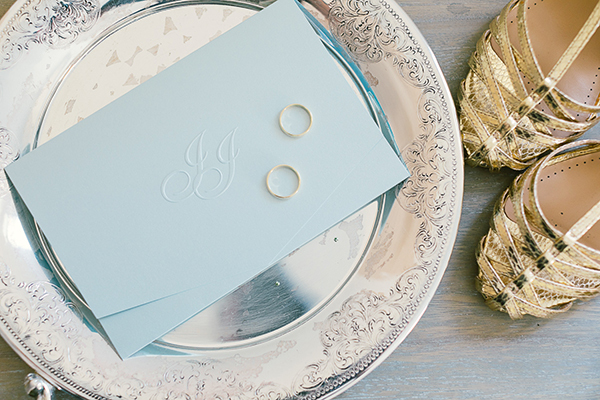 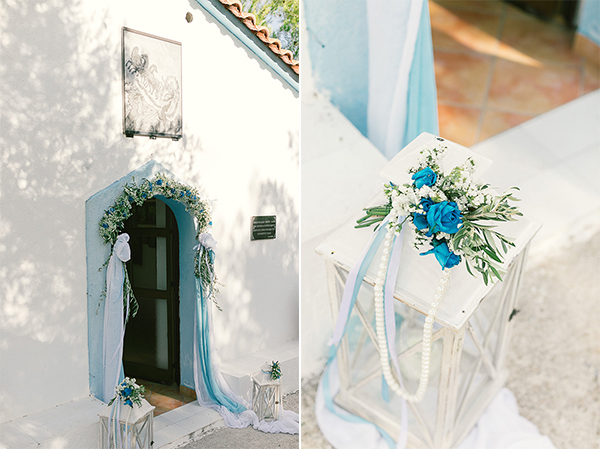 With gorgeous hydrangeas in decoration and blue as the main color used, this lovely wedding will mesmerize you! 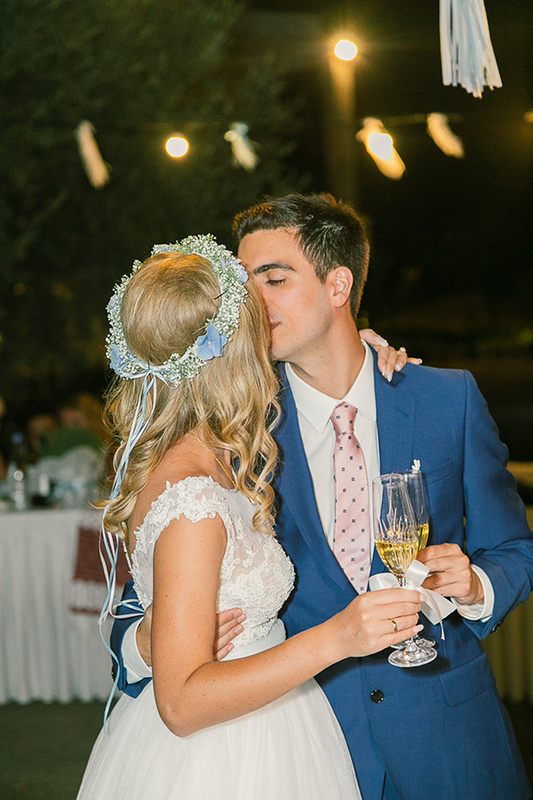 “We met in Tiagos Bar, in Brussels 4 years ago; while Iason had internship at European Parliament and I made my yearly eurotrip. 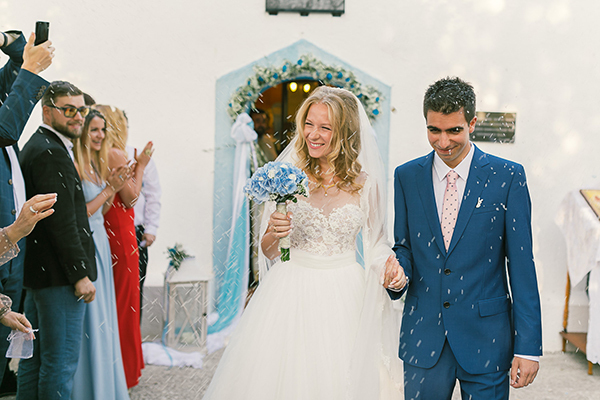 It was love at first sight for both of us, like in the song “You are too good to be true, Can’t take me eyes off you”, the bride shared with us! 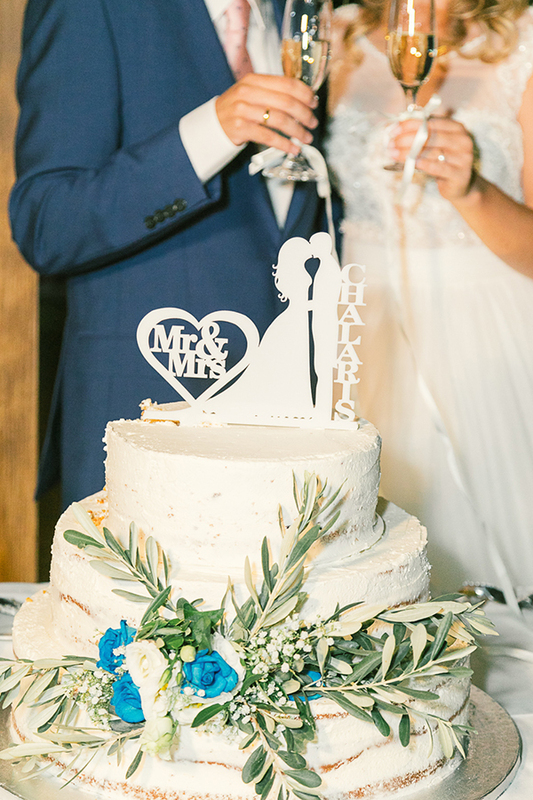 “The ceremony took place in the little mountain church Profitis Ilias with spectacular view to the village and sea and celebration took place in the garden of our country house in Politika, Evvoias” the groom shared with us! 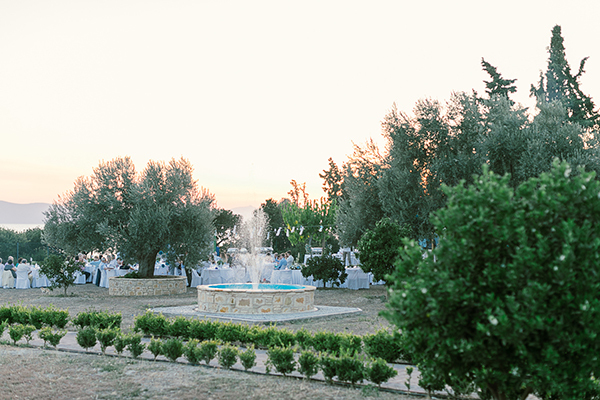 “We invited only the closest friends and relatives, so it was important to keep a friendly family atmosphere – nothing can be better than inviting people to share you happiness at your place”. 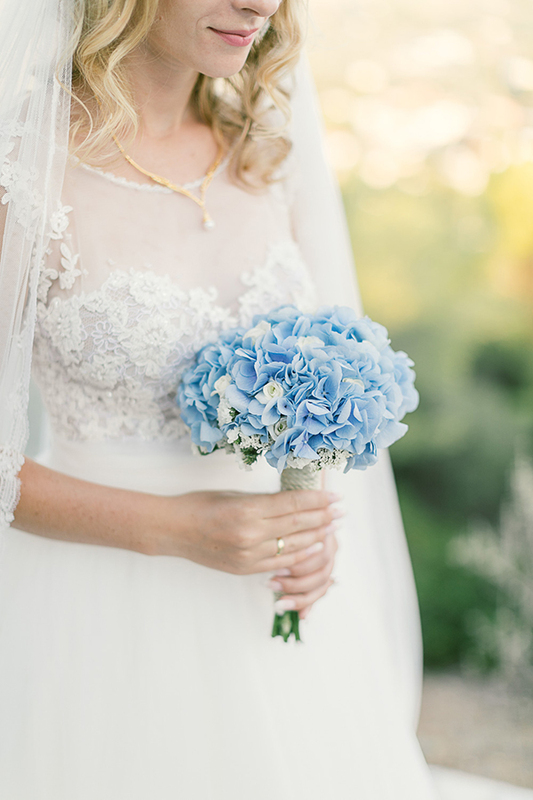 “Blue hydrangeas were the main flower we chose for the wedding decoration and my bridal bouquet. 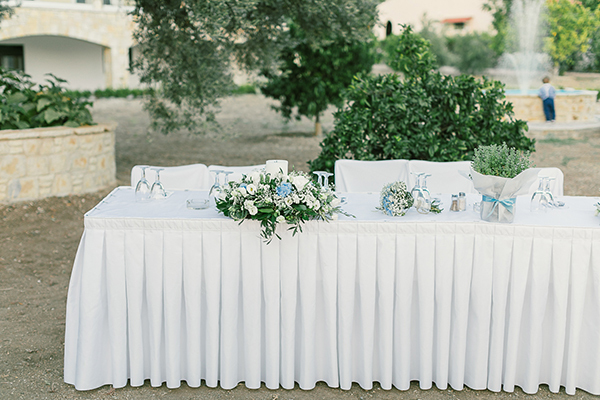 We also asked for white tea roses and eustomas”, the bride told us! 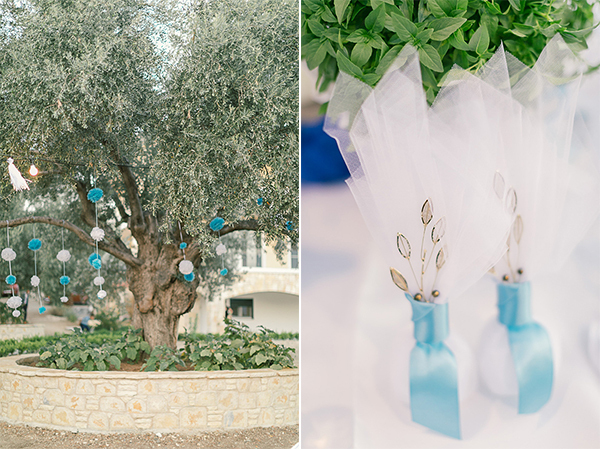 “All decorations were chosen and handmade by me; the blue and white pompoms, the handmade Chinese hand fans, the favors with the blue ribbon”. 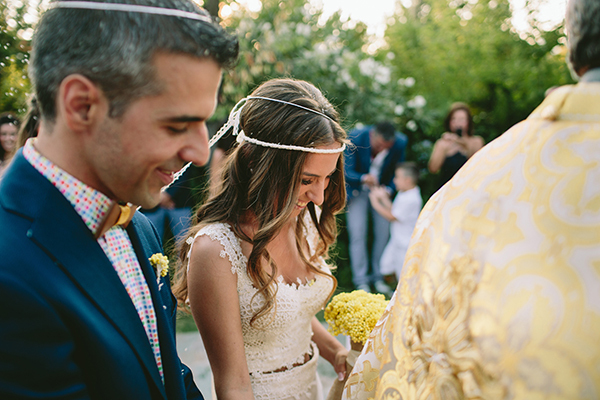 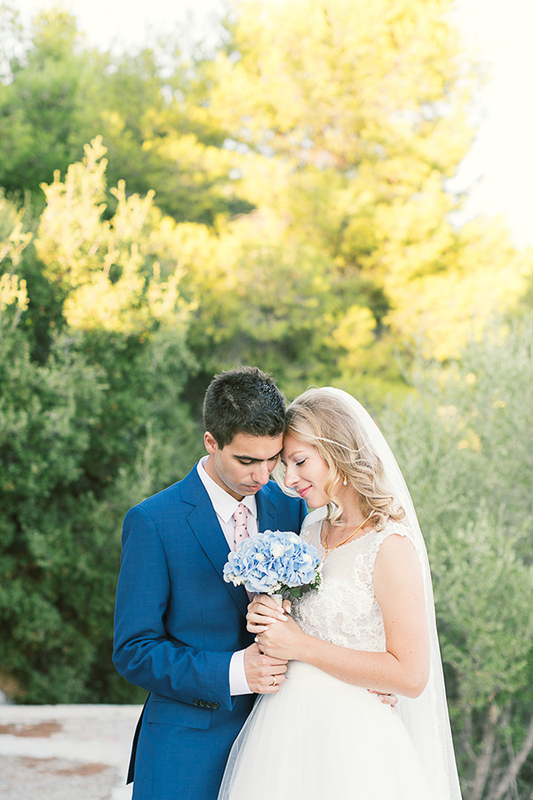 “In addition to white, we chose blue color as it is the color of the Greek flag, the color of sky and sea and the color of bride’s eyes”, the groom shared with us! 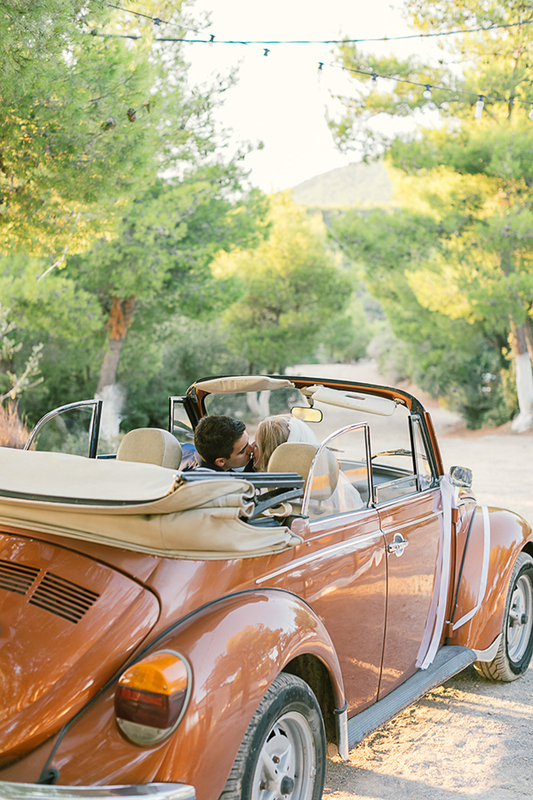 “The wedding car – Volkswagen Beetle, 1972 – wasn’t rented, it belongs to our friend Philippos, who kindly agreed to be our wedding driver”. 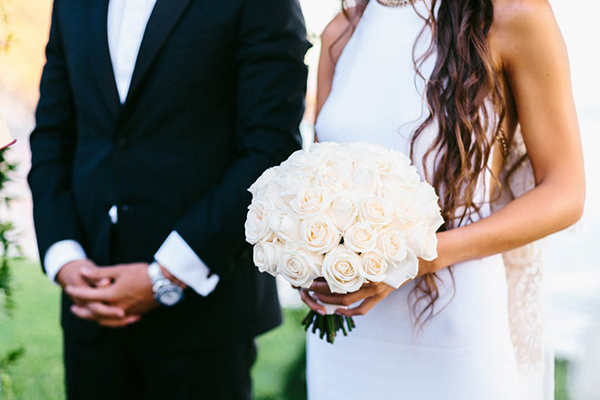 “We found inspiration and ideas while planning our wedding on Pinterest and Instagram and my fantasy”, the beautiful bride told us. 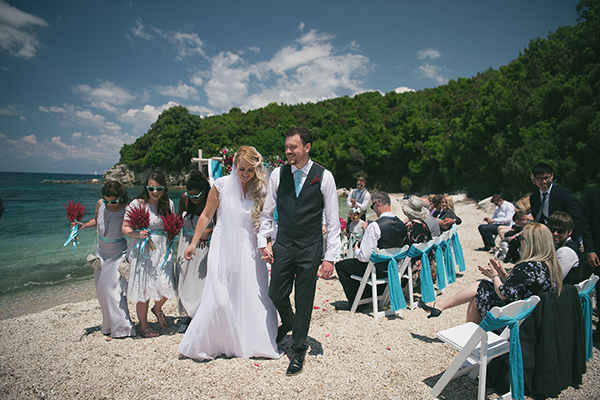 “It is hard to define the best moment of the best day, but we definitely enjoyed our first dance. 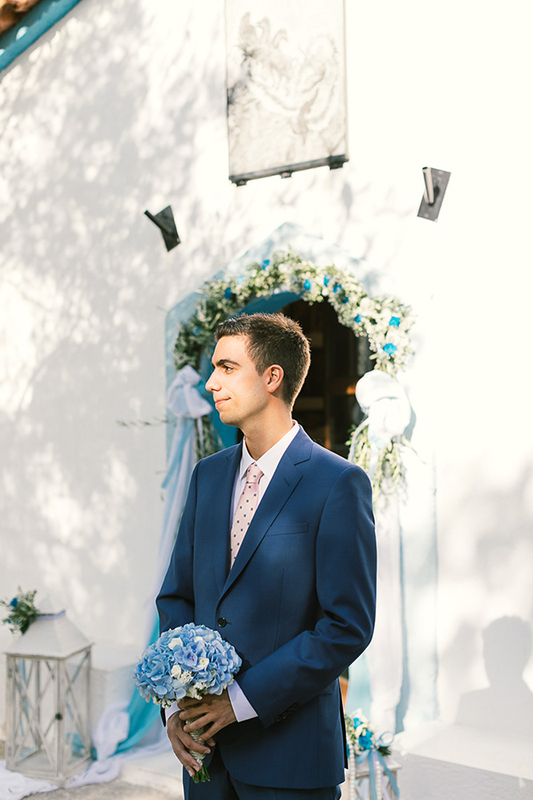 We rehearsed it on our roof, with our dog around, during sunset – we have very strong feelings about dancing and our song – Belle and Sebastian – “The Everlasting Muse”. 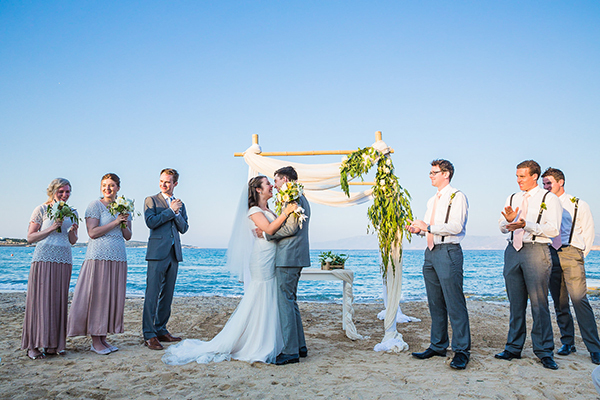 We also had an amazing prewedding party with friends and family – we danced till 2 am the night before our wedding! 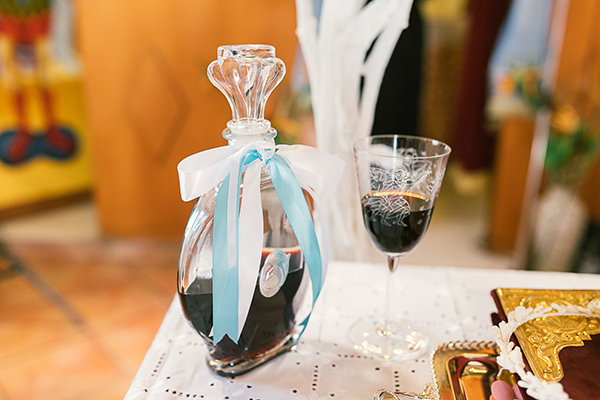 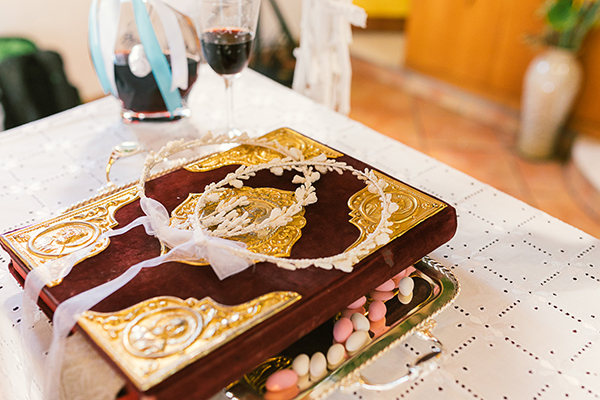 We also had so much fun during unexpected “kidnapping the bride”: according to an Ukrainian tradition, throughout the wedding the bride would disappear from celebration and be held captive by her friends until the groom carried out some dares: singing and dancing”.